The weather may be getting nicer, and the days a little bit longer and brighter, but that doesn’t mean you’re not still struggling to make it through the week. Fortunately, Starbucks’ popular Happy Hour deal is here to give you the pick-me-up you desperately need to push through to Friday. On Thursday, April 4, Starbucks is offering up grande espresso drinks for $3. The deal is good from 3pm to close at most locations across the United States, but you may want to double check with your barista to be sure. 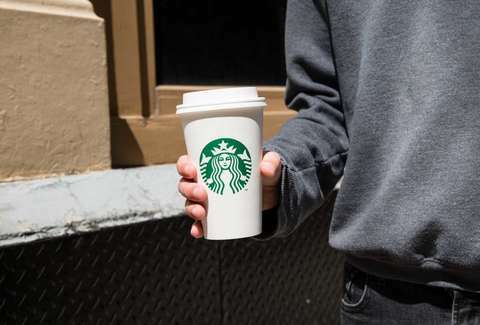 Starbucks’ latest Happy Hour deal extends to all espresso drinks, like the new Cloud Macchiato, and your favorite latte or Americano. It doesn’t cover ready-to-drink beverages, Starbucks Reserve beverages, Frappuccinos, or hot and iced coffees however, so you’ll have to tailor your order to fit within the guidelines if you want to save a few bucks. The Cloud Macchiato was recently introduced at Starbucks, and is a fluffy, foamy take on the traditional macchiato. The drink is made by combining espresso and cloud-like whipped cold foam. At Starbucks, the drink comes in two flavors: Caramel and Cinnamon. Both drinks are topped off with a crosshatch of Starbucks’ signature caramel sauce. To cash in on this deal, all you have to do is download the Starbuck mobile app and sign up for the rewards program. Happy Hours deals were once something you could access via email, but after a change in February you have to use the app to get in on the deals. Once you’ve got the app, you’ll get an offer you can show your barista when you arrive at your local Starbucks for a pick-me-up. As a reminder, not every Starbucks is participating in this deal so you may want to call ahead. It’s an extra step, but it’s worth it for a discounted caffeine-filled reward.